Is Brighton the Curry Capital of Britain? 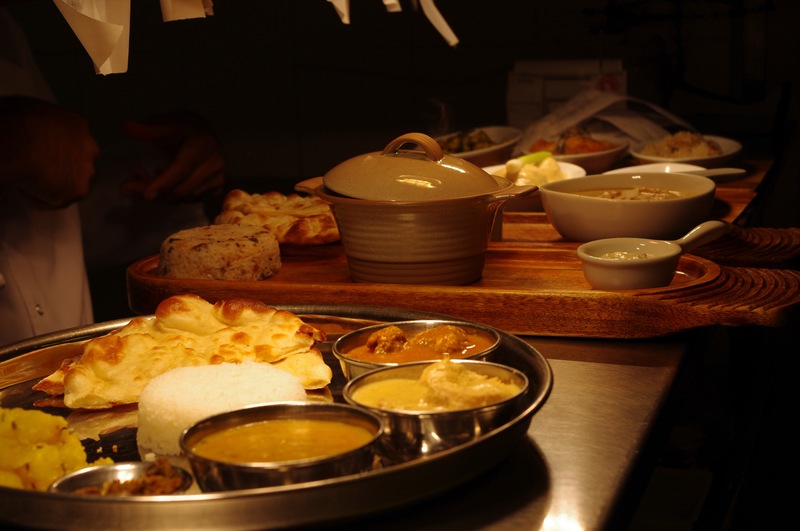 Home › Uncategorized › Is Brighton the Curry Capital of Britain? This October sees the return of National Curry Week and, with Brighton shortlisted for the title Curry Capital of Britain 2013, this year’s event looks set to be spicier than ever. With the exception of London, Brighton & Hove is the only city to be nominated in the South of England and will be represented by four fantastic local restaurants: Indian Summer, Chilli Pickle, Moonstone and Chuala’s. Voting may now have closed but that doesn’t mean it’s too late to taste the very best of Brighton. Founded in 2001 by Minesh Agnihotri and Byron Swales, Indian Summer has been busy collecting customers and no shortage of awards and accolades. Two-time winner of the OpenTable Best Restaurant (2009 and 2011), in 2011 Indian Summer won an AA Rosette Award and this year’s Trip Advisor Certificate of Excellence. Their philosophy is simple: well-sourced, seasonal dishes that are authentic with a modern twist. The restaurant itself is similarly tasteful, the deep purple walls flecked with candles to give some warmth to the, relatively basic, table set up. Unfortunately we were rather hidden away behind the bar at the back, but steal a seat by the front windows for a more atmouspheric meal – it’s East Street location within the heart of Brighton’s famous Lanes. With 2 courses for £22.95 or 3 course £27.95, the set menu is reasonably priced with a sophistication that you would not expect from your usual curry house. After an unusual appetizer, a small soup made of tomato, coconut and lentil, our starters promptly arrived. Rich both in its origin (from the royal courts of lucknow) and taste, the Nawabi Murgh melts tender chunks of free range chicken in a creamy Nawabi sauce. For a lighter option, the Tandoori Zeera Swordfish is a clean arrangement of marinated swordfish with samphire and tomato salsa – the addition of toasted cumin seeds giving it a little extra zing. For our mains we chose the Tuna Pach Poran and Indian Summer Thali. The tuna was perfectly cooked and the accompanying green beans and sweet potato seviyan (a vermicelli-like noodle) helped retain its feeling of freshness. The Indian Summer Thali was similarly clean in its presentation, a mezze of chicken, lamb, dal and potato spring onion sabzi with naan bread and roti to soak up the various flavours. As the name of restaurant might suggest, this is light, summery food prepared fresh to order without additives or colourants. Consequently, unlike after most Indian meals I’ve eaten, we weren’t so guilt-laden to turn down dessert. The roasted fruits with apple, ginger and ginseng sorbet was saved by our decision to ask for extra vanilla ice cream but you’d still be much better to choose the espresso cheesecake. Served in little chocolate cups the amaretto crumb is a delicious touch to an otherwise indulgent and irresistible dessert. 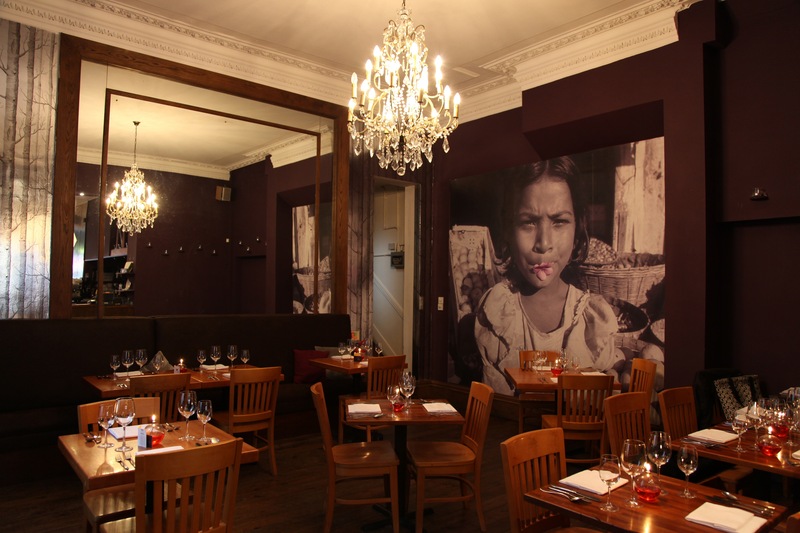 Indian Summer’s concept is clear and the service equally assured, their contemporary take on classic dishes an innovative and, clearly popular, approach to Indian cuisine. Dishes are available gluten and dairy free on request and with so many Vegan options available it’s no surprise that Indian Summer has been chosen to represent Brighton.